Where can I get free lawyer advice? Those that find themselves in legal trouble frequently wonder about their options. Sometimes even seeking consultations may not be cost effective due to the limited time and sometimes-high fees to take advantage of this service. Many will turn to the internet, seeking free lawyer advice, although you will have no way of know if the advice is relevant to your circumstances or applicable to state and local laws. An in person consultation is the best place to receive free lawyer advice and there are a number of ways to find these consultations. If you find a lawyer that will allow you free consultations, the lawyer will state the length of the time he will allocate for the consultation. Remember that even for free advice lawyers, their time is limited and a valuable resource. During this time, you must explain your case to the lawyer and present any evidence you might have to prove your claims. You will need to present the claim as objectively as possible and omit no details, even the ones that implicate your wrongdoing or liability. You do not want unpleasant surprises or other tricks used against you by the other party. After hearing your case, the lawyer will make a determination on the case regarding the ways he can help and the possible recourse you might have in a court of law. If the lawyer cannot take the case, then there is a good chance that the lawyer can refer you to a colleague in the legal profession to offer you free legal advice. How do I find a lawyer with a free consultation option? Many lawyers will advertise the fact that they offer free consultations. It is advisable to take advantage of this service, if the consultation is indeed free, with no hidden fees. Certain lawyer referral services, depending on the state, will ensure that the lawyers they refer clients to will have only free consultations as a precondition for membership. This is of course, not the case for all lawyer referral services. When all else fails, simply asking the lawyer for a free consultation is a possibility, although the lawyer is under no obligation to agree. Remember that the lawyer’s time is valuable and that time is usually spent working with other clients. Bar Association rules or a code of professional ethics, usually limit lawyers from exorbitant consultation fees. Ascertain what those fees are and if a referral, either from a service or colleague will result in a lower or waived fee. Where are places outside of lawyer offices to get free lawyer advice? Many community organizations and education institutions will offer free advice lawyers in legal clinics meant to assist members of the community in need of legal help. These legal clinics are sometimes specialized in a specific aspect of the law, such as immigration matters or business contract law. If such services are available, it is the best interest of the client to seek as much free lawyer advice as possible from this organization, to have a better idea of their legal situation and their options. What are some problems with free lawyer advice? As mentioned above not all free lawyer advice is applicable. Nonspecific legal advice, or legal advice intended for another jurisdiction will not be helpful for the client. This is usually the case with posted, online advice. Advice that is tailored to the individual’s needs or location is of course, much more applicable and exempt from this prohibition. When seeking free lawyer advice in person, ensure that the lawyer is honest and fair in his or her assessment of your case. Some lawyers will make grand promises or unreasonable statements in hopes of luring a client into retaining his services. The lawyer cannot guarantee the outcome of a case, only the process by which it will be resolved and a reasonable outcome. Free lawyer advice is important but it is far more important to find a trusted lawyer that will handle your case with the appropriate level of courtesy and professionalism. In some cases, it is better to pay for a consultation with a better lawyer that to accept a free consultation from a sketchy lawyer. Your success in a legal matter usually comes down to the caliber of the lawyer, so find a lawyer that best suits your price range, rather than the cheapest option available. Even the best free advice lawyers will not be able to compete against experiences professionals that have handles hundreds of similar cases, can offer reasonable fees and will be able to handle your case with ease. Where are trusted places to receive free lawyer advice? The State Bar Association is a reliable source for legal advice, regardless if its membership for lawyers is mandatory or voluntary. These bar associations are constantly analyzing changes to the law and what it means for their lawyers and clients. Many of the associations also bear the responsibility of educating their members with continuing legal education classes. This initiative is passed to the clients both in the form of well-informed lawyers and events for the public. At these public events, there is typically legal advice given as well as the ability to request pro bono services. You can be assured that free lawyer advice from the Bar Association is legitimate and the consensus of lawyers within the state. You may use this website for legal advice, usually general advice that is useful for meeting with all lawyers. There are also additional lawyer guides, tailored to each state with information regarding the lawyers, bar associations, fees and contact information. Remember that lawyers offering free legal advice are not always the cheapest lawyers and some lowers that offer to work on contingency, while offering free legal advice, may end up taking a large portion of the settlement or settle much too early for a limited settlement in exchange for quickly resolving the case and moving to another client. Be aware of exploitive lawyers offering free advice. There are a number of websites offering free lawyer advice online. Be skeptical of information you find there and verify it against state and local laws. Remember that free lawyer advice online is not always tailored to specific regions with differing laws. Some tech savvy lawyers will maintain free lawyer advice online sections related to their practice to explain their legal philosophy and interpretation of the law. This can be a useful resource in that it will best explain the laws of the region where the law practice is located. Still, be careful with free lawyer advice online that seems too good to be true or makes extraordinary claims that appear unrealistic. As lawyers have a finite amount of time and highly demanded skills, convincing a lawyer to work free is a daunting task. Sometimes the lawyer may offer pro bono service and this is clearly the best time to have the lawyer free. Otherwise, if you have significant economic need and a pressing legal issue, you will have to make a case for pro bono services to have the lawyer free. When demonstrating economic need, bring all evidence of the case and the reasons why you will need the lawyer free. Sometimes the lawyer will work free in exchange for a share of the settlement. This is called a contingency arrangement and is very common in many accident and negligence cases. How do I find a Free Lawyer? - For civil matters, free lawyers may be available through local organizations and groups that work to provide the underrepresented in court. Check with local bar associations and legal groups to see if such a group is available. The search for a free lawyer may require some work on your part, but protecting your legal rights is very important so do not give up without first seeking all your options. When seeking a free lawyer, it will be important to bring anything that you have that relates to the legal claim. Any documents, medical records, police reports, or communication with the opposing party will be needed for review by the lawyer. If your free lawyer requires that you meet certain financial requirements before working for you, bring the necessary information. This will ensure that your case is evaluated and started as quickly as possible. Make sure that you have all dates, times, and names ready for the lawyer. You may need to double check that you have all of the facts straight before meeting with the lawyer. The more precise you can be with your description of the facts, the better your lawyer can serve you. Free lawyers will often not advertise in the usual ways of advertising. Instead, free legal services may be provided through the courts and postings may be found in local courthouses or government agencies. You should use any resources you have available when searching for a free lawyer. Contact local legal organizations, the State Bar Association, and any other agencies that could help lead you to a free lawyer. The internet can provide a wealth of information in regards to legal services that may be available for you. This website can provide you with a good start in your search for a free lawyer. Use the search function at the top of the page to find and compare free lawyers in your area. When you meet with your lawyer, make sure that you have all available documents, files, and paperwork related to your case. If there is a police report or any medical records involved, it is important that you bring them to your lawyer or you provide enough information so that your lawyer can find them and review them. You are going to need to give a detailed description of everything you know about your case. Ensure that you have the correct dates, times, names, and places before meeting with your lawyer. If you need assistance meeting with your lawyer, prepare to bring other trusted individuals to help you meet with your lawyer. Family members are often your best resource for help in this regard. Any lawyer that you seek will need to have graduated from an accredited law school and have passed the bar in your state. While free lawyers can be all different types of lawyers, from expensive private lawyers fulfilling pro bono requirements or government provided lawyers, you should try to ensure you have a lawyer who is competent to represent you. Try to find out information about your lawyer's background and experience before allowing them to work on your case. Even though a lawyer may be provided at no cost, do not accept any representation that you are not comfortable with. Your lawyer should have the ability to properly file legal documents and advise you of your legal rights. 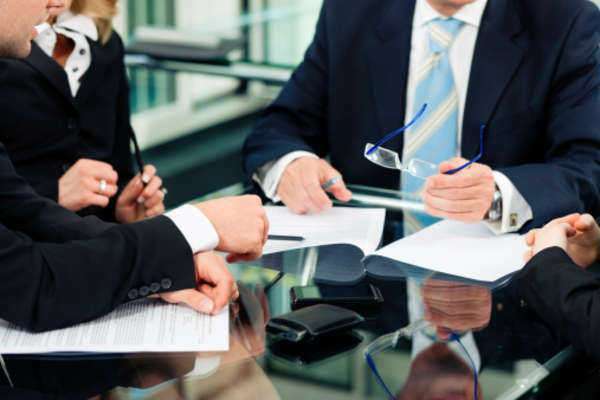 If you are not satisfied with your lawyers work, contact the agency or group that is providing your lawyer to try to work out any issues you may have. You should also be able to develop a relationship with your lawyer. Your free lawyer will have to work with you on a consistent basis and the relationship may last for months or years, depending on your case. If you believe your lawyer is acting in an unprofessional or unethical way, contact the providing authority to assure that your rights are protected and your case is not lost due to your lawyer's actions. Of course, a free lawyer will be provided without cost to their client. However, if you find that there are no available lawyers who will work on your case without cost, there are other options depending on the type of case. If you are injured in an accident or any type of personal injury case, lawyers will most often work on a contingency basis. This means that you do not have to pay an upfront fee to the lawyer. The lawyer will only collect a fee if they successfully win and award or bring you a monetary settlement. These lawyers will typically take 30 to 40% of the total award as their compensation. This can be a valuable fee structure for those who cannot afford the expensive upfront costs that legal representation often requires. - Make sure to ask what services your free lawyer will provide you. - Because free lawyers often must work on many cases at a time, ask how much time they will be able to devote to your case and how long they expect the case to go. - Learn the availability of your lawyer, how to contact him or her, and where they are available to meet. You will need to know how to give them updates on changes in your situation and they will need to contact you to advise you on your case and for your decisions. Free lawyer consultations are available from lawyers who are willing to initially discuss your case and advise you on how to proceed. Often, during these free consultations, your lawyer will tell you of the steps you need to take to further your actions and what type of legal representation you will need during these steps. A free consultation usually precedes legal work that is paid for, either by hourly, flat, or contingency rates. Free consultations do provide legal advice, however they are usually only valuable in understanding the type of legal work you will need to have done. Free lawyer services differ from free lawyer consultations because free lawyer services provide legal representation to those who cannot afford them. Free lawyer services help the under-represented, the poor, and those who cannot care for themselves. Free lawyer services can be provided by the governments, appointed by the courts, or provided by private non-profit groups.